When temperatures rise the perforated goatskin palm and abrasion-resistant mesh construction keep your hands cool and safe. Touchscreen compatible for use with smartphones. 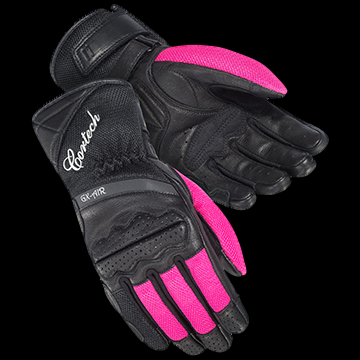 • Durable, perforated goatskin and goatskin pinky finger overlays to help increase protection. • Featuring 3M reflective fabric on backhand for increased nighttime visibility of the rider.